Venezuela’s embattled president threatens US after Trump doesn't rule out military action in Venezuela. Venezuela’s embattled president Nicolas Maduro on Sunday night warned US President Donald Trump he will leave the White House “stained with blood” if he insists on overthrowing him, The Guardian reported. Maduro signalled in the interview that he had no plans to go anywhere. “If the north American empire attacks us, we will have to defend ourselves … We aren’t going to hand Venezuela over,” he stressed. Maduro’s comments came after Trump, in an interview with CBS earlier on Sunday, said he had rejected talks with Maduro “because so many really horrible things have been happening in Venezuela”. Trump recognized Venezuelan opposition leader Juan Guaido as the legitimate president of Venezuela earlier this month. Guaido, a member of the center-left Popular Will party and a federal deputy representing Venezuela’s Vargas State declared himself interim president amid an ongoing dispute over last May’s presidential election. After Maduro was declared the winner, his two challengers refused to concede charging the government of fixing the results to ensure Maduro an additional term. The contested election led to widespread refusal to recognize Maduro’s inauguration on January 10. 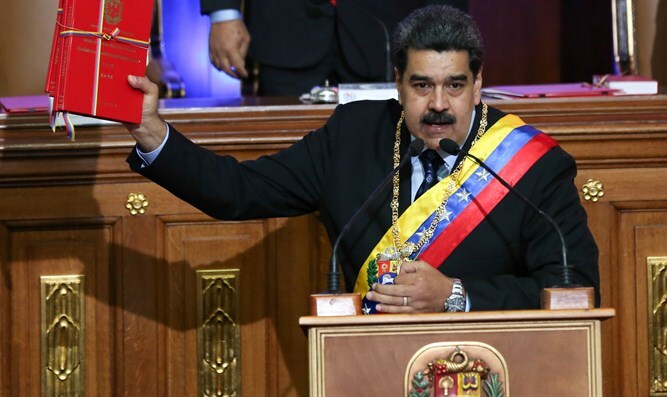 In response to Trump’s recognition of Guaido, Maduro announced he was breaking his country’s diplomatic relations with the United States and ordered the US Embassy personnel to leave Venezuela within 72 hours. Later, however, Maduro backtracked on the order and permitted the American diplomats to remain in Venezuela for an additional 30 days.